Chennai: AIADMK General Secretary V K Sasikala today appointed senior leaders, including some former ministers and a former Mayor, to key party posts. 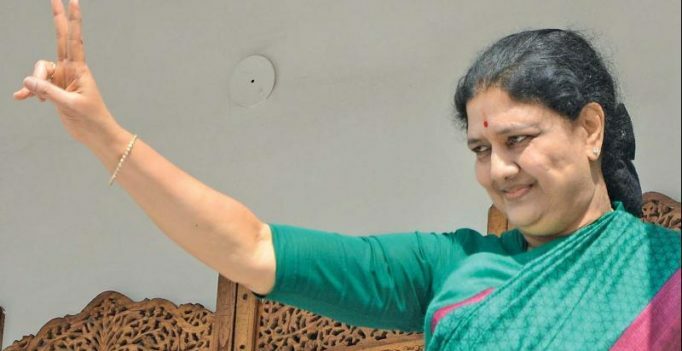 Former Ministers K A Sengottaiyan, S Gokula Indira and B V Ramana, besides ex-Mayor Saidai S Duraisamy were today appointed as the party’s Organisation Secretaries, she said. She announced the appointments of various senior leaders, including Fisheries Minister D Jayakumar, to a number of posts. Sasikala also announced removal of Ambattur MLA V Alexander as AIADMK’s MGR Youth Wing Secretary. He will, however, continue as the party’s Tiruvallore (East) District Secretary, she said in a statement. The AIADMK chief urged the party workers to extend their cooperation to the newly appointed members.